Once you are in Cebu City, or anywhere on this provincial island, getting to Camotes Islands is a lot easier. This page offers you a comprehensive guide in getting to Camotes Islands, Cebu, the Philippines. You will find ferry and boat schedules that can help you prepare your itinerary. When I first traveled the island (with my sister and brother-in-law), we just set out taking a Jeepney to Danao Port and took a ferry for Camotes Islands. We did not book a hotel or resort hoping it would be an adventure and trusting that the island has a lot to offer to its seekers. (But I suggest you book a place especially when you go there late in the afternoon since most resorts can be crowded during special seasons). This beautiful group of islands composes the parts of the Eastern part of Cebu Province. Camotes Islands is composed of four main smaller islands and their respective municipalities as follows: Poro (municipalities of Poro and Tudela), Pacijan (the only municipality is San Francisco); Ponson (municipality of Pilar), Tulang (part of Barangay Esperanza, San Francisco). The livelihood of the locals is fishing, farming, resorts and tourism resources including tourist guide, transportation, among others. The island is mostly green with coconut trees, tropical hardwood tress, mangroves, and various species of plants and flowering plants. And, what is amazing is that the whole of this group of islands is that it is surrounded by nice beaches available for public use (although some are claimed as private properties by some resorts and establishments in progress). Some of the notable and popular tourist sites include: Buho Rock, Green or Danao Lake, Santiago Bay Beach, Timubo Cave, among other places. Now, to enjoy Camotes’s beauty and tranquil environment let’s check out the available transports you can take when getting to Camotes Islands. 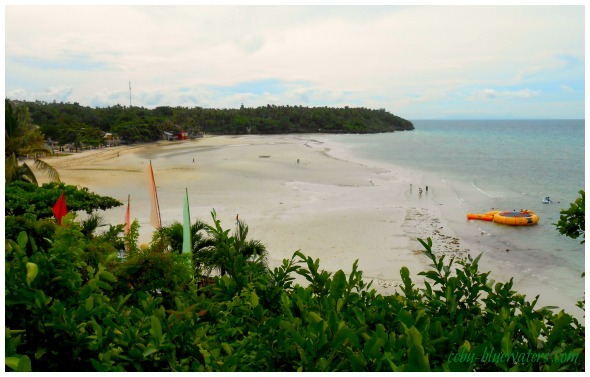 Certainly, you can get to Camotes from various points in the country. However, it is more accessible and less troublesome if you get there via Cebu City. That's because more transports are available on this island than from other areas. Besides, you need to prepare your Camotes Islands travel by procuring some gears, such as swim wears, sun cream, cash, among other necessities. Here are your possible choices of transports to get to Camotes Islands. Consuelo is where most of the actions and the popular resorts are located, hence this ferry is busy transporting goods and passengers everyday. Please note that the schedule could change without any prior notice depending on the management’s new policies and the weather, such as strong wind or typhoon. It is always best to be at the port and buy your ticket an hour earlier and before departure. If you want to bring your own ride to this island, you can certainly load it up on this ferry. No, it is not free and the charge depends on the size and weight of your vehicle, of course. Bringing your own car or van to the island makes your grand tour more comfortable and not time-limited when compared to hiring vehicles on the island. Find out more about Super Shuttle Ferry via that link to their facebook page. This is mostly available in Mandaue City at Ouano Wharf. This is a much smaller boat (outrigger boat) but could be faster than a ferry. However, the disadvantage is that it could be slower and less safe especially when there is strong wind and storm or typhoon. This pumpboat leaves Ouano Wharf at 11AM for Poro Port in Camotes Islands. Another pumpboat leaves Danao Port for Consuelo, Camotes at 10:30AM. This ride, when getting to Camotes Islands, is available at Pier 1 in Cebu City. 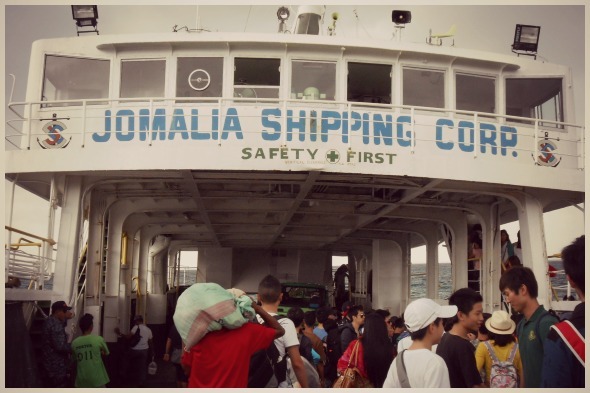 In comparison to Jomalia Ferry, this transport travels lesser due to some reasons. The Fastcraft leaves at 9AM and 5:30PM from Pier 1 in Cebu City for Poro Port in Camotes. Aznar Boat also travels daily from Pier 2 (Cebu Port) in Cebu City at 9AM. If getting a jeepney ride is complicated for you to get there, just take a taxi for your convenience. What impresses me when I first visited the islands is that simplicity and honesty of the locals. (Of course, not all and be wise in all your dealings.) Myself and my brother in law were negotiating with a motorbike renting shop but changed our mind to hiring a motorcab (a motorbike with a sidecar). Anyway, the motorbike owner says we don’t need any credentials to rent one of his motorbikes, and that really surprises me. So, when you arrive at any of the ports mentioned above, you can hire a motorbike or habal-habal for your destination (either a resort or a hotel) or grand tour around the island(s). The rates could vary but usually they have fix rates, which you can also bargain with the operator or driver. Smaller vans are also available depending on your destination. Certainly, if you have a bit of ideas regarding these transports on the island can usually come in handy. For any of the vehicles you want to rent or hire, just know that they usually offer a particular rate but you can or may negotiate with them—and that rate depends on your preferred destinations/sites and time you need them for the service. Please, don’t depend too much on your guidebook since it could be outdated and you’ll spend time arguing with the driver or any service (site, resort, etc.) operators. That’s because rates can change overtime. Thanks a lot for reading through this guide and hopefully this helps you in some way or another. Please, let us know for any changes in rates, boat schedules, facilities or anything at all that could help others when visiting or getting to Camotes Islands. Have a great day!